We welcome this incremental light washing over our lengthening days, taking stock of all that darkness revealed and continues to teach us. How are we most mirroring what the world yearns to become? 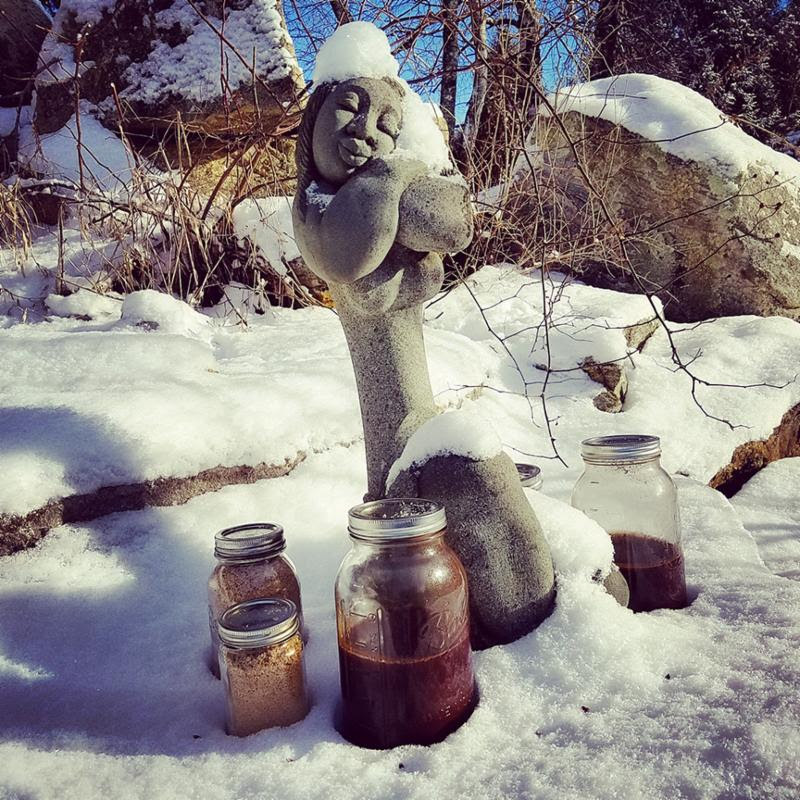 At WILDSEED we’ve been doing some deep internal work: inaugurating a Cambium Council to support us in the next stage of growth, mobilizing financial resources, foraging mushrooms and making medicine, tapping the sugar maples, and moving through interpersonal conflict through mediated group work and ritual with our ancestors and the land. Since our last newsletter, WILDSEED has also been part of some dynamic local collaborations, deepening regional networks, and hosting some incredible convergences on site! 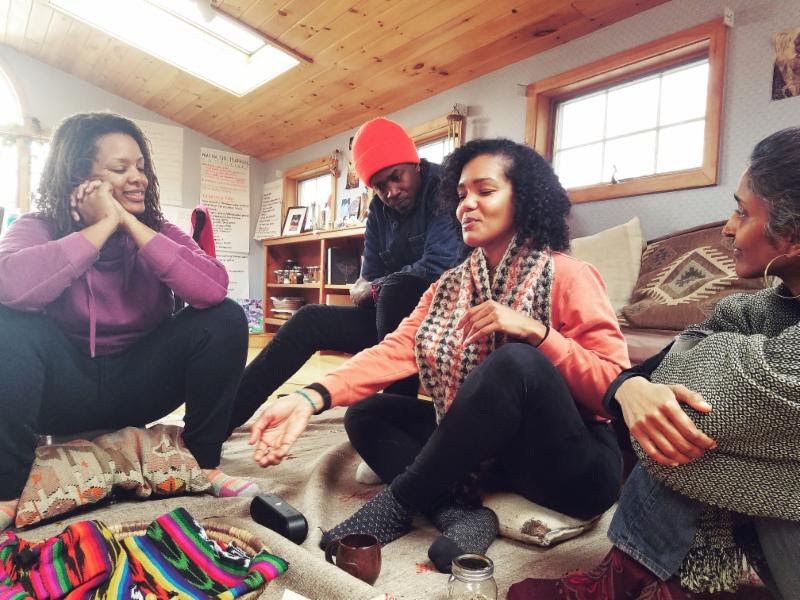 Embodied Resilience from the African Diaspora was a 3-day workshop organized by WILDSEED steward Diana Warwin, that fused African cultural resistance strategies from the global south with contemporary liberation work in the United States. It was led by an elder Brazilian master of the sacred traditional Capoeira Angola lineage, Mestre Lua de Bobo, who traveled from Bahia to be with us! Co-facilitators Jasmine Fuego and Abrah Dresdale led 20 Wildseedlings in a 3-day on-site training that harnessed social permaculture design process, mindfulness techniques, and creativity to support us in designing holistic, regenerative plans for WILDSEEDand our lives. Check out Abrah’s guidebook and opportunities to train with them! 80 queer farmers and food educators gathered together for the first Northeast Queer Farmer Alliance at WILDSEED, co-hosted by Linke Fligl and Rock Steady. People traveled from PA to ME to network and vision the future of this LGBTQ rural/urban alliance.